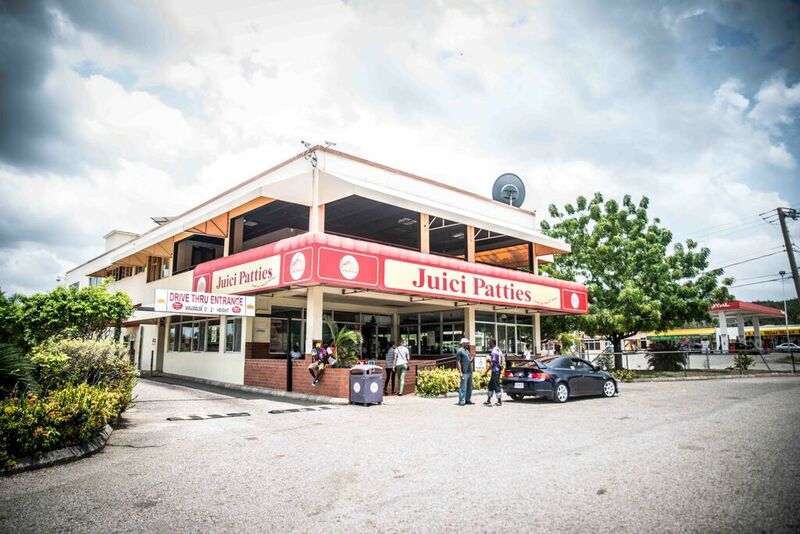 Juici Patties is the largest fast food chain-60 stores and counting islandwide! 16 year old entrepreneur Jukie Chin makes beef patties out of his mother’s kitchen and sells them in the family grocery store. First official Juici Patties store opens in May Pen, Clarendon. With only three employees - A cashier, a baker and Jukie himself! First set of franchise partnerships were formed. Juici Patties expands to northern parishes and to Kingston. First Juici centralised quality and manufacturing plant built, allowing rapid growth of the company. Juici Patties becomes the only fast food franchise located in all 14 parishes! Juici Patties Head Office and Manufacturing Plant relocates to Clarendon Park, Jamaica. The property also houses a Juici Patties restaurant and 24 hour Rest Stop, Juici Abattoir and Juici Facilities Services and the Juici Football Field. Juici Patties plays an active role in the community sponsoring multiple youth sporting and educational programs, the Elderly Soup Feeding Programme and Juici Patties Youth Leadership and Volunteer Programme. The Juici Patties Group, including its franchises, now employs over 1400 persons in 60 stores islandwide.